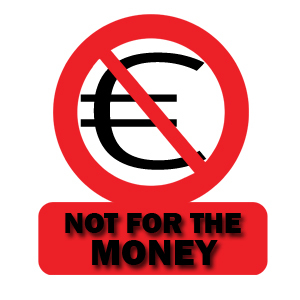 Not for the Money is a six part series consisting of in-depth profiles of volunteer run organisations. In each programme we speak to a member of each organisation to see what was their motivations and expectations when joining the organisation, why do they believe it is important to volunteer and what have they gained through their experience volunteering and working with other volunteers. During the programme we obtain valuable information about the organisation, such as how/when/why the organisation was created, how it works, difficulties and advantages of being volunteer run and their prospects for the future.